UC 160 is the front door to The OWU Connection. In this course, first-year students plot their four-year connection path. At OWU, your connection with the University starts with a small credit (.25) class that pays big dividends in what you take away from here. 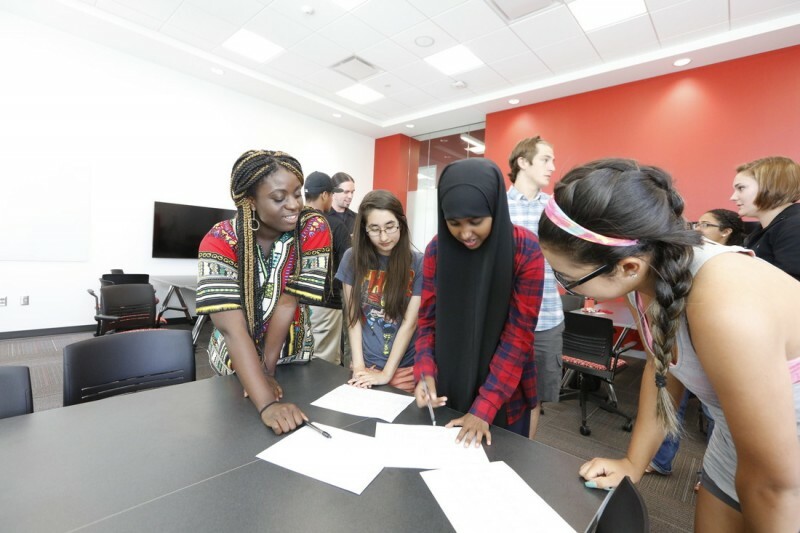 Limited to 16 students per section, UC 160: The OWU Experience, is an interdisciplinary course designed to connect new students to Ohio Wesleyan, this diverse intellectual community, and the ethos of a liberal arts education. UC 160 actually begins before you arrive on campus. Over the summer, you’ll be asked to complete a brief reading and writing assignment that will get you thinking about the kind—and the value—of education that awaits you. This assignment sets the stage for fall semester when you’ll meet weekly to discuss a course text or theme selected by your instructor. UC 160 instructors come from varied academic disciplines and college offices, but each is dedicated to helping launch you on a successful college experience and a lifetime of making connections.